The DLF Project Managers group is an informal community within the larger DLF community. They meet at the annual DLF Forum and also have a dedicated listserv, which all are welcome to join. 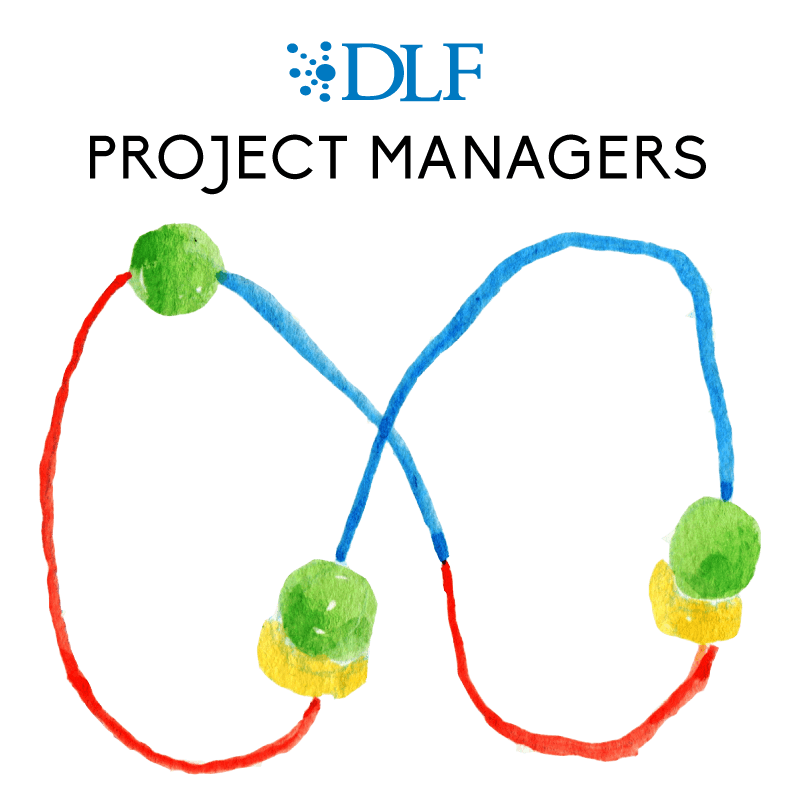 The DLF PM Group was formed in 2008 to acknowledge the intersection of the discipline of project management and library technology. The group provides a forum for sharing project management methodologies and tools, alongside broader discussions that consider issues such as portfolio management and cross-organizational communication. The group also maintains an eye towards keeping pace with the dynamic digital library landscape, by bringing new and evolving project management practices to the attention and mutual benefit of our colleagues. This collaborative project offers crowdsourced information, tips, techniques, and tools for project managers working in or with libraries. Take advantage of this resource for your projects or for staff training/coaching. Post your ideas and knowledge to share with others! The DLF Project Management Toolkit was initiated by Jennifer Vinopal at New York University. Join the Project Managers Working Lunch at the DLF Forum each year, where members of the group discuss various needs, and work to identify ways to support them.